You have probably heard a good bit of chatter about Big Data and how it is transforming the world of business. This is absolutely true for large businesses that fit a certain profile – businesses with high transaction volumes, those in industries with established data publication processes, those who have advanced data collection systems already in place, etc. However, for most small and middle market businesses, drawing insights from “Big Data” doesn’t always seem like a valuable endeavor. Most Big Data purists suggest that Big Data refers to data in excess of 1 Terabyte. However, a more meaningful definition from IBM names three dimensions of Big Data. When defined in these three dimensions, small and mid-market businesses can begin to understand Big Data’s power. Below are two recent examples of how we have helped our clients find value with this concept. One of our clients asked us to help them analyze the incremental sales opportunity in the Mid-Atlantic region by comparing their sales history report against an industry report that detailed the most active buyers in that same time period. By comparing data from multiple sources (variety), we defined the most promising sales targets (with contact information!) that hadn’t been previously sold to. We also developed a metric that we called “Capture Ratio” which showed how much current customers’ purchases weren’t being captured. The analysis spurred further conversations about sales and marketing strategies that have now been implemented. A residential service business with a heavy reliance on traditional advertising has made it a priority to set up their processes to collect data of all sorts. Their data collection processes include detailed tracking of advertising conversion ratios, phone logs to track the results of incoming customer calls, and even carbon paper job summary reports which are then entered into a database. While the firm hasn’t yet invested in mobile devices to replace the carbon forms, they have invested in GPS tracking on their fleet of vehicles. The data produced from this system is incredibly powerful. These systems monitor, among other things, vehicle location, driver performance, and time in idle (that translated to time working with a customer for this business). That’s a lot of data every day for every driver – volume and velocity! Our strategic growth project didn’t incorporate the GPS tracking system data; however, the other data that had been meticulously collected (from internal and external sources) was incredibly helpful in developing a series of suggestions to grow the business into a new market. Meaningful data is everywhere and it doesn’t always take a sizable investment to capture it. With little effort you can develop insights to the most important challenges facing your business. 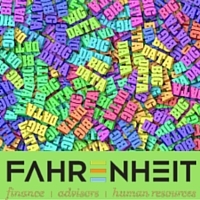 If you are interested in learning more about how big data can make a difference in your business, connect with Jeff Wraley or one of our consultants or advisors. Jeff Wraley’s technical ability and his experience in a wide range of industries have made him an asset to established companies, as well as early-stage startups. He started his career as an engineer at one of the country’s largest general contracting firms and quickly worked his way into a finance role managing the financial reporting and audit process for over $400M in construction. Jeff has a passion for technology and effective processes and joing Fahrenheit in 2013, has led projects in many industries including insurance, biotech, SaaS, real estate, and several service sectors.